Some of California’s best, most rugged, and least-spoiled coastline lies at the northern end of Highway 1. It takes a commitment to reach this area — the only escape routes are mountainous two-lane roads with countless curves. But, the rewards are plentiful. For dozens of miles you’ll enjoy the dramatic, rocky coast, as you approach an even more remote stretch of the Golden State’s ragged edge. 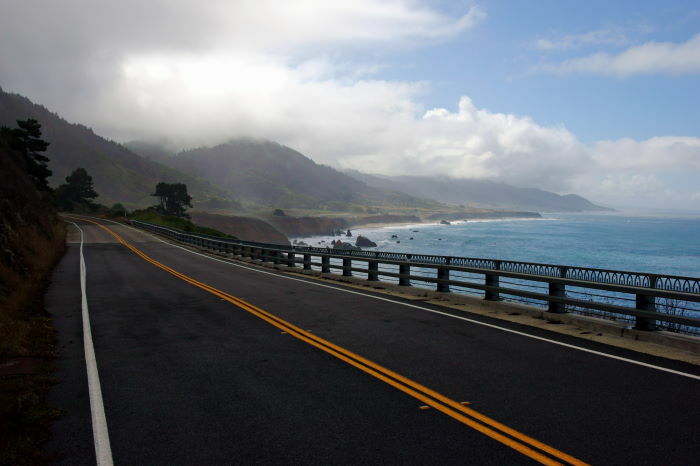 The Shoreline Highway follows the coast from San Francisco to (almost) Leggett, California, the northern end of California Highway 1. 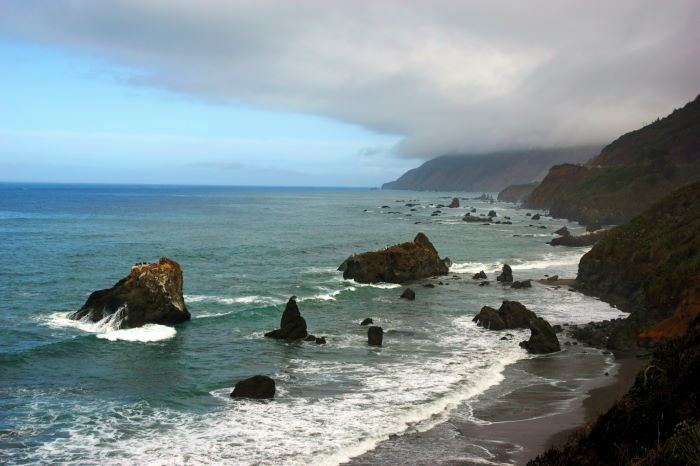 The biggest city in these parts is Fort Bragg, and after you leave town headed north, you’re destined for the wild and remote Lost Coast of California. After about 30 miles, the road turns inland for a white-knuckled curve-a-thon to US 101. Fort Bragg is the logical place to spend a night along the Shoreline Highway. And for that reason, I was starting my day in Fort Bragg, with a goal of reaching Crescent City. It doesn’t look terribly far on the map, but this is a challenging part of the country for a road trip. 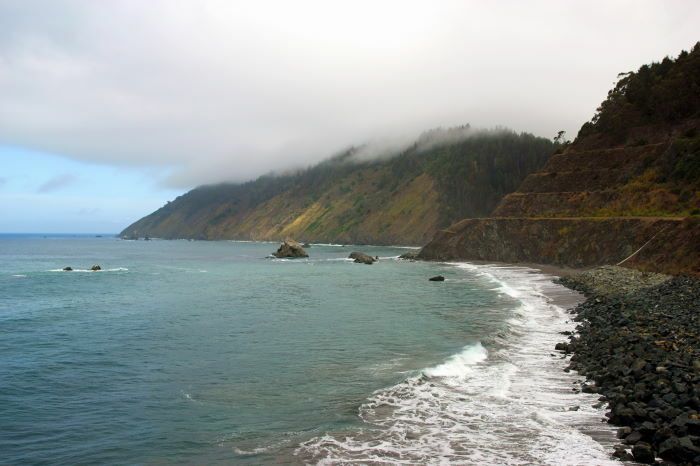 The Lost Coast tends to be pretty wild, but this stretch of the journey is relatively easy. Take it slow and you can spend an hour along the coast, north of Fort Bragg. It’s still a two-lane road for most of the way, but it’s easy enough to drive. The views are great from the highway, and there are a few public-access points that allow you to get even closer to the water. 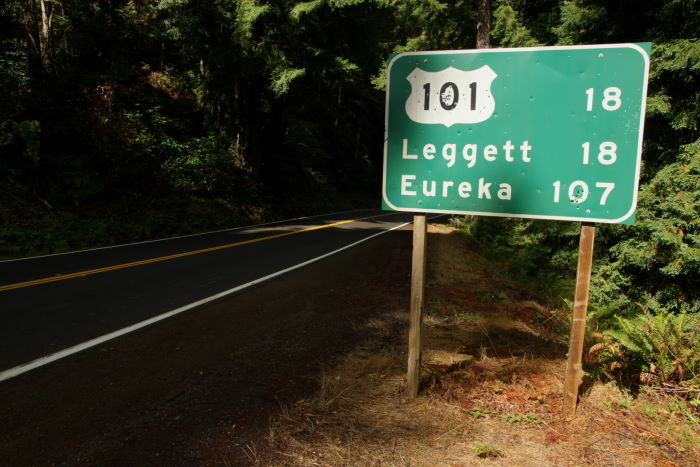 … to Leggett, and US 101, where Highway 1 unceremoniously ends. In between here and there are 18 miles of the curviest road you’ll ever see. I couldn’t even begin to count the curves. They’re fun at first — making you feel like you’re in a high-performance car commercial. Then, it gets old. And then, you still have 15 or so miles left. 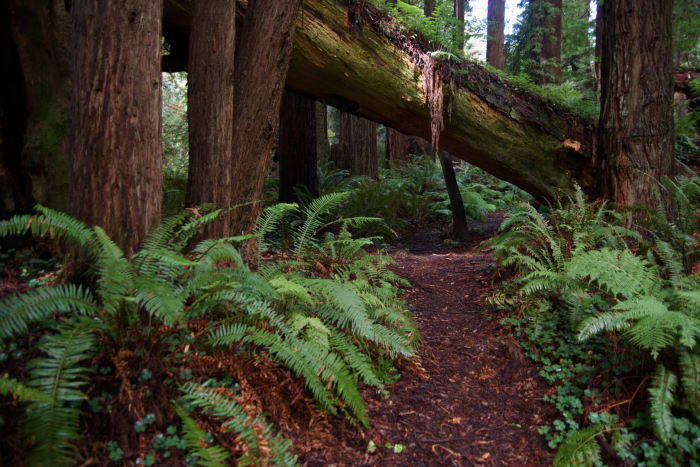 … which provides a nice path through a redwood grove. The trickling water of a small creek on one side helps drown-out the occasional passing cars on the other. 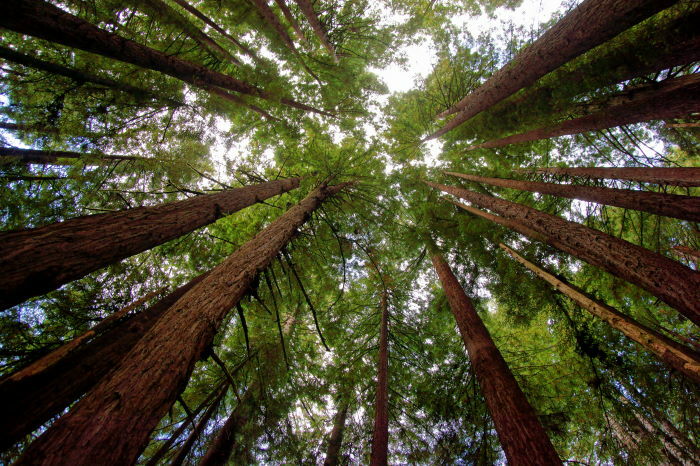 Lose yourself in the grandeur of these big trees for as much time as you can sacrifice, before finishing the journey. California 1 north of Fort Bragg is beautiful, but the mountainous stretch between the coast and US 101 is challenging and tiring. Prepare yourself mentally, and you’ll be okay.